A cool foggy morning in Moss Landing turned to sunshine and warm temperatures. 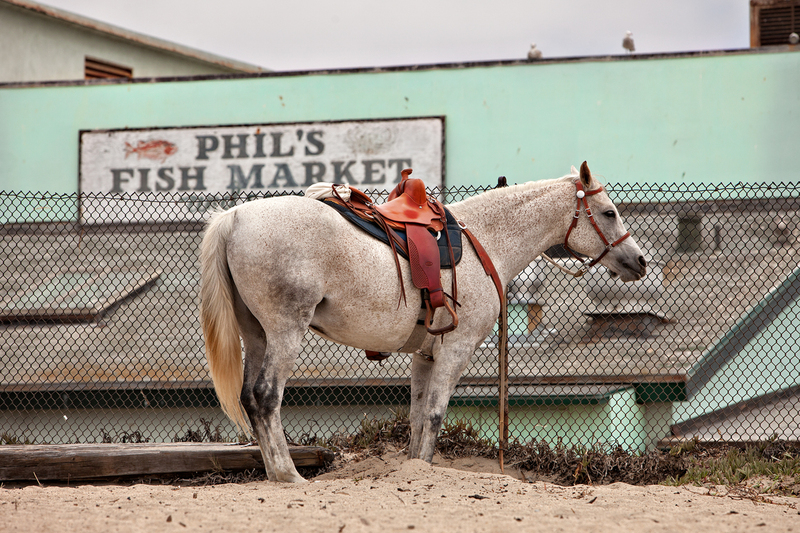 There’s really not much to do there except walk along the marina and beach, visit a few antique stores, and of course eat at Phil’s Fish House. 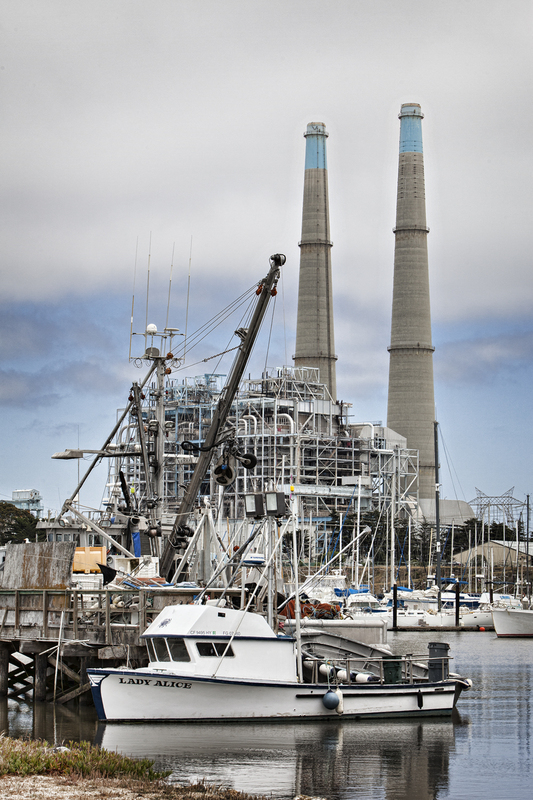 You know you are in Moss Landing when you see this landmark. Looks like this guy is waiting for his lunch! I got fairly close to take this picture. A man was also taking their picture with his cell phone, but he was quite a distance away. He asked me how close he could get before they started chasing you. He was obviously nervous. 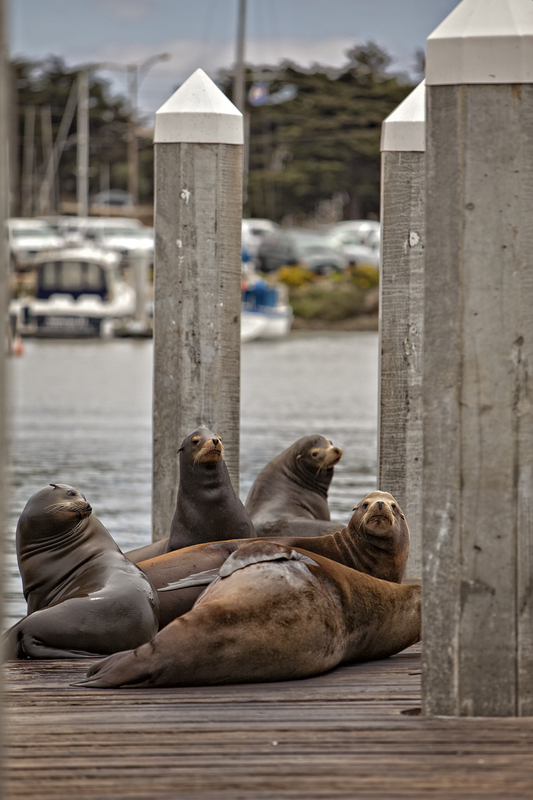 He said he was from Boston and had never seen sea lions before. I assured him that they would slink into the water before they would ‘chase’ him. He thanked me and inched a little closer to get a better picture. 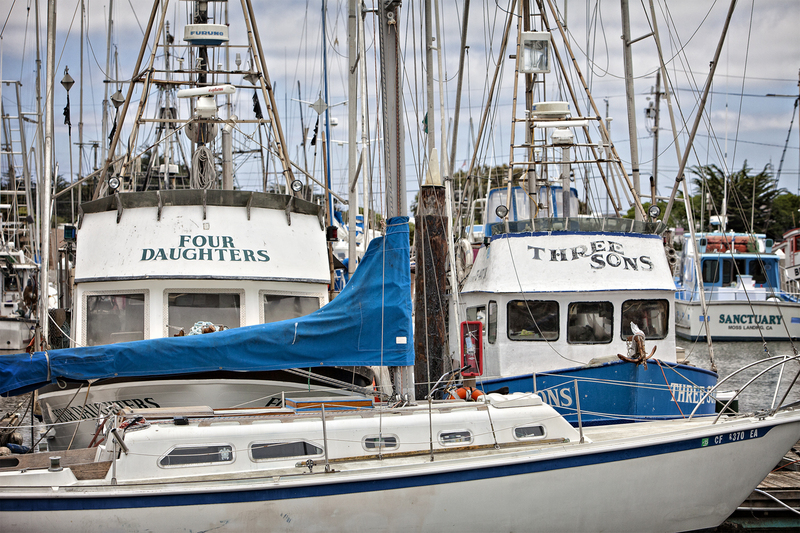 The names of these boats made us laugh. Surely it is planned that they dock next to each other. It was a nice way to spend my Birthday. Oh, we had fresh fish tacos for lunch and took home a container of clam chowder and sour dough bread to have for dinner. Looks like and sounds like you had a great birthday. Good for you!! YES! you’d love Elkhorn Slough! The wildlife is awsome. Chuck & I did it a couple of years ago. I’m going to show Chuck the picture of the PG&E Powerhouse – he worked on that monster. I remember him calling me one day from 200 feet up in the air! I’m sure he’ll be able to tell me every single pipe he cut, fit, and welded together! Maybe I’ll frame it for him.